Home > News & Resources > What Questions Should I Ask My Personal Injury Attorney In Charlotte, N.C.? What Questions Should I Ask My Personal Injury Attorney In Charlotte, N.C.? 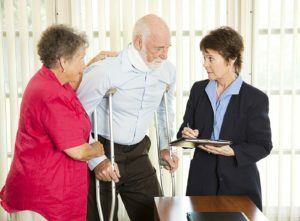 If you have been injured through the negligence of someone else and are planning to file a personal injury claim or lawsuit, then you will benefit from the advice of a skilled Charlotte, North Carolina, personal injury attorney. Yet, you will need to know what questions to ask, beyond those that pertain to the legal details of your own case. Before you even start discussing your case, you’ll need to find out a few things about the lawyer with whom you are considering. Following are the most important questions that you need to ask any Charlotte, North Carolina, personal injury attorney at your free consultation. Question 1: What Types Legal Cases Do You Usually Handle? There are many attorneys who are in general practice, meaning that they handle a lot of different types of cases. They may have Contact personal injury lawyers Brown Moore Law today! some experience with personal injury cases, but they may not be at the top of their profession in that area. Then, there are the personal injury attorneys who handle all sorts of personal injury claim, but they may have more experience with one type than another. For example, the lawyer may have more experience with auto accident claims than they do with slip and fall claims or workers’ compensation claims. Asking which types of legal cases the attorney usually handles will give you more information than just asking how much experience they have with cases like yours. If you ask how much experience they have with slip and fall claims, for example, you may learn that it is a lot. Yet, if you ask what type of legal cases they usually handle, day to day, you may find out that they primarily deal with medical malpractice claims, for example. Question 2: Do You Take Cases to Court or Do You Refer Those That Don’t Settle To Someone Else? Most personal injury attorneys are going to settle the majority of their claims outside of the courtroom by negotiating with the defense or their insurance company. This is the goal of most personal injury claims to avoid the time and expense of going to court. Having said that, you still want to work with a lawyer who does have experience with taking cases to court. Some attorneys do not like to take cases to court and will refer them to another attorney if they are unable to settle. Settling is naturally the ultimate goal, but if your negotiations are not successful, you need to be confident in your Charlotte, North Carolina, personal injury attorney’s skills within the courtroom. Question 3: Do You Have a History of Settling and Winning Cases and Can You Give Examples? A Charlotte, North Carolina, personal injury attorney may not be able to give you the details of their past cases, but they can give you some examples of their history. You want to work with a lawyer who has a history of successful settlements and verdicts in court. This is not only because you know that the attorney has the skills and experience to succeed with your case, but also because an insurance company is more likely to take you seriously when you work with an attorney who is known to be successful in obtaining high settlements and verdicts for their clients. Question 4: Who Is Actually Going to Be Working on My Personal Injury Case? In many cases, you may seek a free consultation with a personal injury attorney, but then find out that this is not the lawyer who is going to actually represent you. There may even be multiple attorneys working on your case, and that is not a problem, but you do need to know about the skills and experience of every lawyer who may be representing you in the courtroom or negotiations. Question 5: Have You Won Any Awards or Honors in Your Legal Practice? Different legal organizations will award certain honors and leadership positions to the most respected and skilled attorneys. While it is not necessary to work with an attorney who has won awards and honors, it certainly helps to know that they are respected and skilled enough to have done so. When you want to work with the most skilled and effective attorney in your area, this is a good question to ask. Question 6: How Do You Handle Legal Fees and Expenses? It is very common for a Charlotte, North Carolina, personal injury attorney to state that they will not charge you unless they recover compensation for you. This is because most personal injury lawyers work on a contingency fee basis, meaning that they only take a portion of what is recovered, which is nothing if they recover nothing. Yet, you should not assume that you will not have to pay anything at all if you don’t win compensation. There are often a lot of legal expenses associated with your case, beyond the attorney’s fees, and you may have to pay the fees despite the outcome. You will want to find out whether you will need to pay such expenses up front or whether they will come out of your settlement or favorable judgment. Ask what happens if you lose the case and how those fees will be addressed. If the attorney will not discuss this, but claims that they are certain that you won’t lose, then you should be wary. Even the best of attorneys will lose some cases, and they should be willing to discuss all possible outcomes and every eventuality that you should be prepared for. Question 7: What Is Your Case Load Right Now and Do You Have the Time and Resources for Mine? In many cases, the best attorneys are going to have a heavy case load. It is important to ask about this because you want to make sure that your own case gets the time and attention that it deserves. Ask the attorney about their resources and how much time they will have to dedicate to your personal injury claim. Ask them how long it will take for them to respond to your calls, and how often you will communicate to stay in touch and updated on the case. At Brown Moore & Associates, our Charlotte, North Carolina, personal injury attorneys are happy to answer all of your questions and help you get started in the right direction. Call today to see about a consultation and learn more about your rights and options.